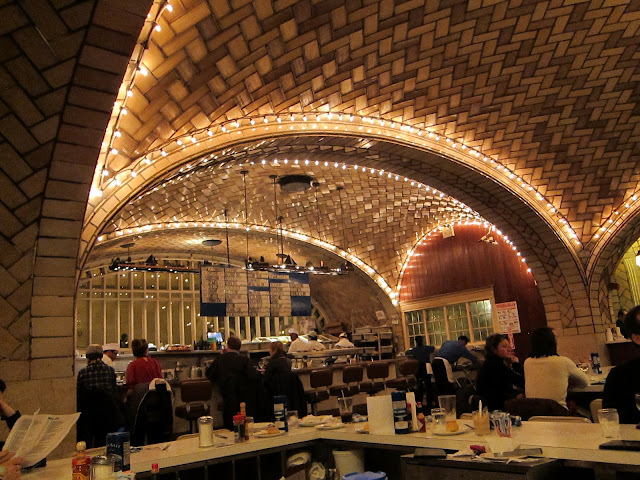 With a decidedly classic New York feel, the Oyster Bar & Restaurant in Grand Central station is an ideal pit stop before a long train ride out to visit the parents in Connecticut. 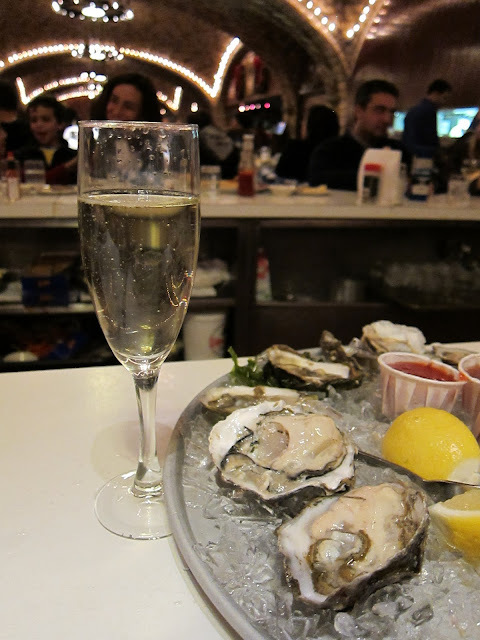 Sit at a counter or at the bar. Bolster yourself with a traditional gin martini, a tray of seasonal oysters (The menu varies, but there’s always a large selection. 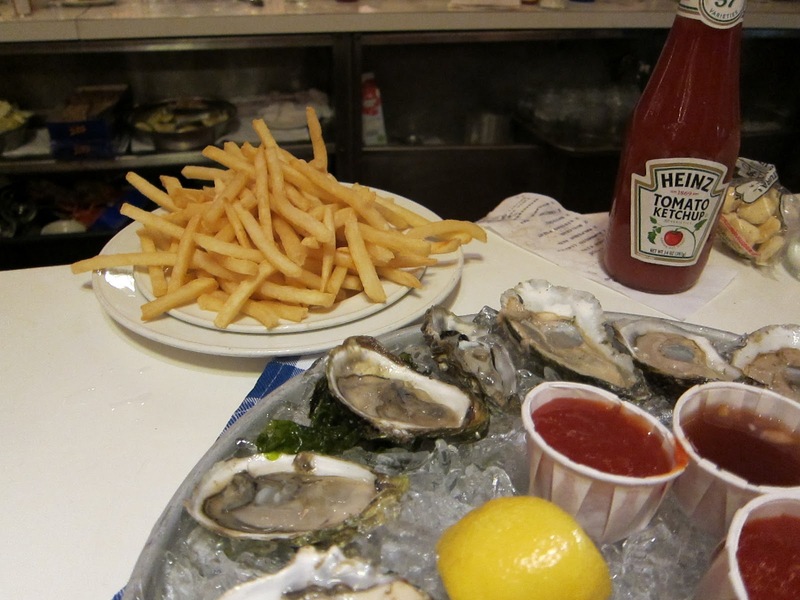 I’m partial to the Totten Virginicas) and a plate of fresh-out-of-the-oil golden French fries, necessary to keep the booze and oysters from sloshing around too much once you hit the rails. 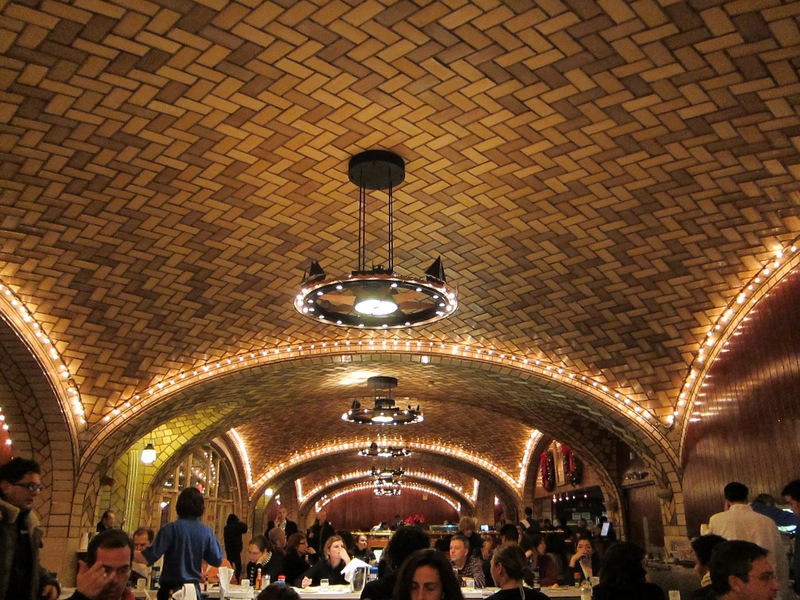 With any luck, you’ll doze off and awake as the train pulls into New Haven, ready for a clam pie at Pepe’s. 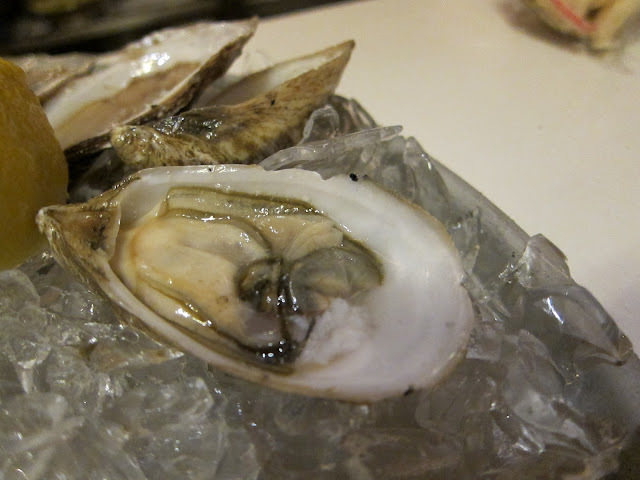 *Be warned: On our last visit, the place was packed and the shucking was sloppy. 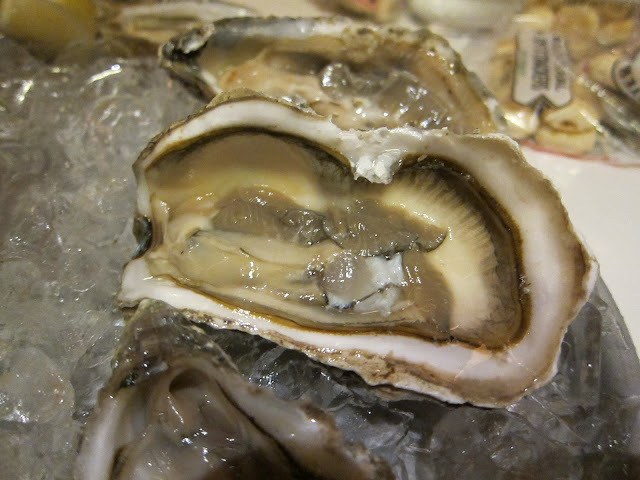 For oysters you can slurp down without swallowing bits of shell, avoid rush hour and holidays.